Hong Kong has British DNA. Even though Britain gave Hong Kong back to China 21 years ago, today when you walk around the city you can see British fingerprints everywhere. From statues of Queen Victoria to double decker buses, British culture and lifestyle is baked into the culture at every turn. Both the history and the current-day British influence are visually fascinating stories and in this episode I show it all -- exploring Britain’s imperial history, which includes opioid trade, discrimination and a divided city, and then showing the effects of that history, resulting in a city that is unlike any I’ve visited. Vox Borders is an international documentary series by Emmy-nominated producer Johnny Harris exploring life at the edge of nations. 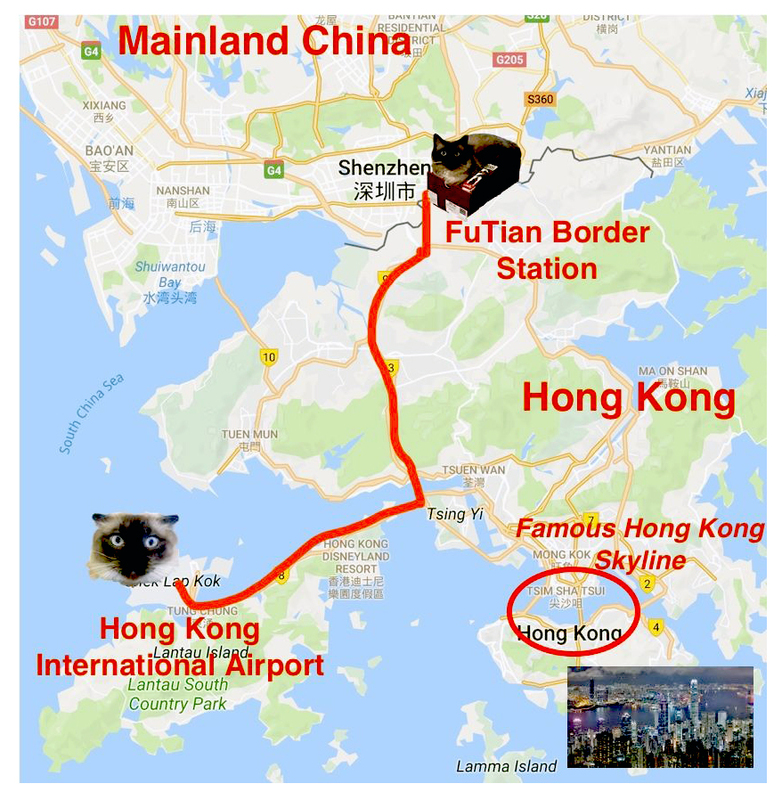 When Britain handed Hong Kong back to China in 1997, Chinese leaders agreed that Hong Kong would be able to keep its economic and political systems, including some of the civil freedoms denied to China’s citizens on the mainland, for the next 50 years. Although Hong Kong still has nearly 30 years of semi-autonomy left, China has started tightening its grip, and many believe it is chipping away at Hong Kong’s freedoms. In this episode, I explore how Hong Kong is dealing with the looming deadline and China’s premature moves. Vox Borders is an international documentary series by Emmy-nominated producer Johnny Harris exploring life at the edge of nations. Hong Kong’s famous skyline is known for its colorful lights and modern buildings, but a closer look reveals some unique designs inspired by feng shui. Like the gaping holes in the middle of buildings to let dragons fly through or cannon-like structures installed to deflect bad “qi” (pronounced chi). The main belief in feng shui is that destiny is bound to the environment, so good fortune and harmony can be invited in and bad energy can be warded off by arranging objects and buildings around us. It's an ancient Chinese practice that has come to define Hong Kong's skyline. In this episode of Borders, we explore feng shui principles, explain the circumstances that allowed it to flourish in Hong Kong and take a look at the unique designs around the city. Vox Borders is an international documentary series by Emmy-nominated producer Johnny Harris exploring life at the edge of nations. Master Wu started making neon signs in the ’80s and has been filling Hong Kong’s streets with bright neon signs ever since. But recently, Master Wu has seen his business slow down as brighter-burning and more energy-efficient LED signs emerge. In addition to getting fewer requests, Hong Kong’s iconic neon landscape is also losing thousands of signs per year, ushering in the end of the city’s neon era. As Hong Kong’s neon lights start to fade, I spent some time with Master Wu at his neon shop, where he showed me how he makes neon signs, and took a look at Hong Kong’s changing cityscape. Vox Borders is an international documentary series by Emmy-nominated producer Johnny Harris exploring life at the edge of nations. Vox Borders is an international documentary series by Emmy-nominated producer Johnny Harris exploring life at the edge of nations.